Professors Peter Squires and John Lea have been recognised for their contribution to criminology by the British Society of Criminology (BSC). Professor Peter Squires, Professor of Criminology & Public Policy, has been elected as the new president of the British Society of Criminology (BSC). In his new role starting this summer, Professor Squires will be responsible for leading the society and developing its strategic direction. 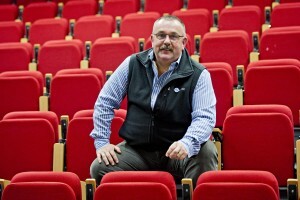 Professor Squires, who has worked at the university since 1986, described being selected to represent the BSC as a “real honour”. 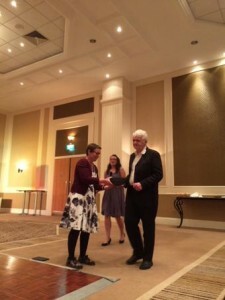 Professor John Lea, Visiting Professor of Criminology at the university, has been awarded a lifetime achievement award for his contribution to criminology. The prestigious British Society of Criminology (BSC) Outstanding Achievement Award is presented once a year and recognises the research contribution of academics in the field. Professor Lea was nominated for his work toward the development of criminological theory and research on victimisation and police racism. Professor Lea will receive the award during the BSC annual conference at the University of Plymouth between 1 and 3 July. Tagged Award, British Society of Criminology, Criminology, John Lea, Peter Squires. Bookmark the permalink.